One Room Challenge Week 4 - Painting Woes & a Desk Chair Decision! One Room Challenge Week 4 – Painting Woes & a Desk Chair Decision! Hello friends! 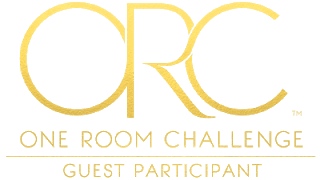 I’m here with another update on the One Room Challenge, and sadly, I don’t have as much to report as I had hoped. For those of you who follow me on Instagram, you know that I’ve been having painter problems. Namely, no painters showing up! Besides the fact that I’m incredibly frustrated, I’m also sad because they have put me behind. Hopefully (fingers crossed!) they are done by this Friday! After that, there is really only one week to get everything put together and photographed for the big reveal! So now that you know what I didn’t get done, let’s talk about what I did manage to get done! Thank goodness there were a few! And here is the desk chair that came out the winner! 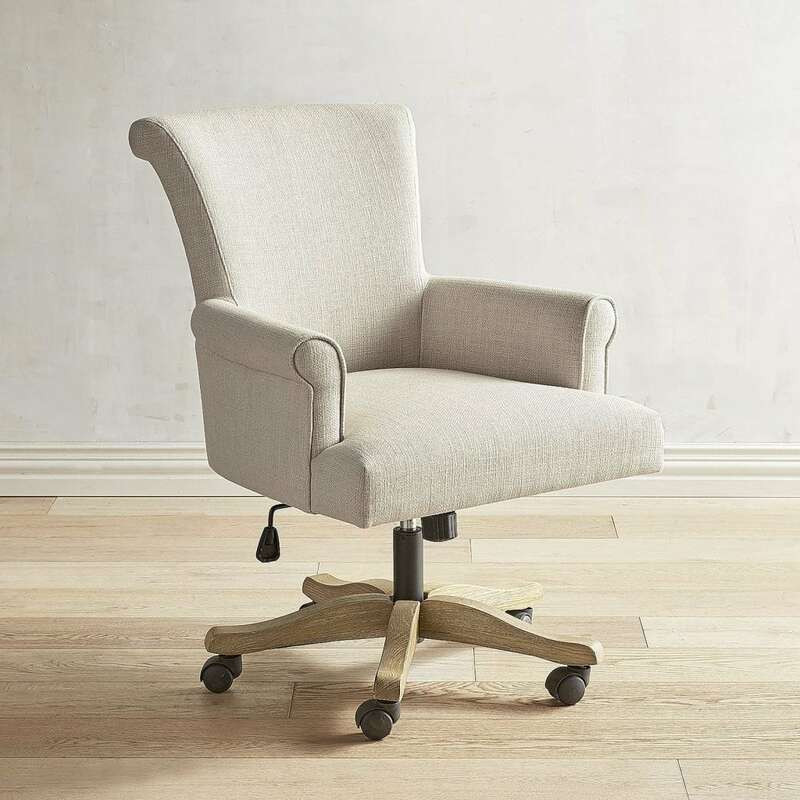 It is the Brennon chair from Pier One, and I think it will be perfect. I went to the store to actually sit in it, as well as read the many reviews and it’s very comfortable. It has arms which is nice, can be raised/lowered, and it swivels. And, it doesn’t look like your typical desk chair! It think it has enough style to look pretty, but still be practical. Done!! As for accessories, I’ve selected my France photos and have them ordered so that is also done. As for the frames, I did have a lucky thing happen with those! 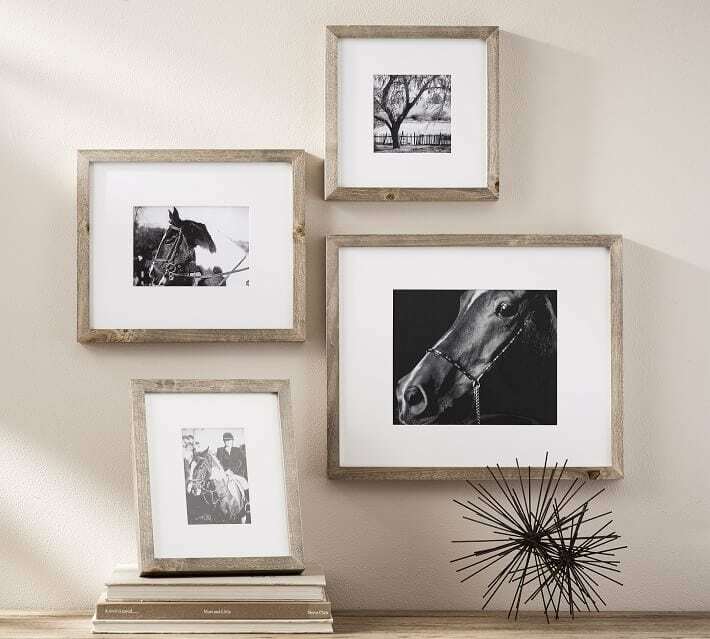 I had selected the Wood Gallery frames from Pottery Barn in the gray. I liked the simplicity of them, and the gray was pretty close to the driftwood color of the Printer’s Desk. Even better, they were having their Friends and Family sale last week and I was super excited to get them on sale. I ordered my four 8 x 10 size for a sale total of around $118. However, later that day I went to Target to get a few household items and as I walked by the frame section, this frame appeared before my eyes…. for $16.99! I was giddy! And can I say, it is actually an even better color (slightly less gray, more driftwood-y) than the PB frame, and it’s about an inch bigger in each direction which I like better as well. So, $50 bucks saved. Yay for that! A small win, but I’ll take it! I’m also still deliberating what will go on the other large wall. 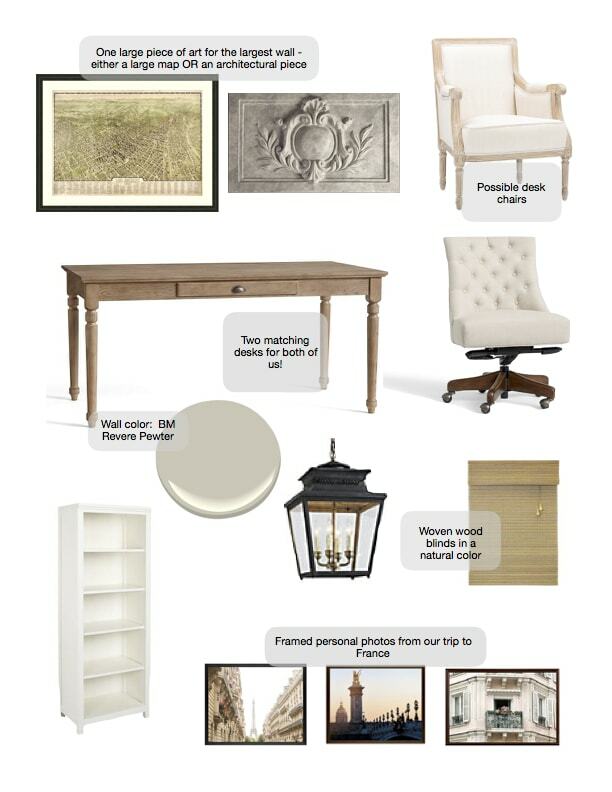 My husband is pushing for the map, but I really like the architectural piece (they’re both in the mood board above). Trying to remember that this is our office and not just mine, haha! 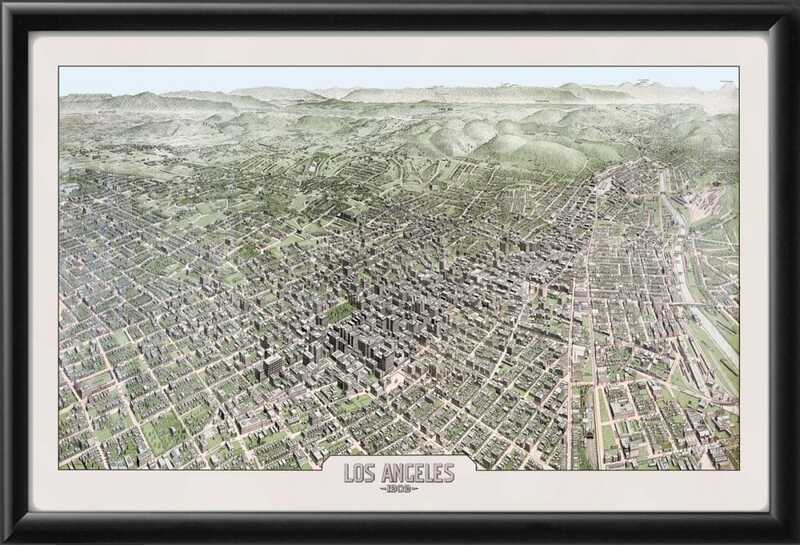 The map is gorgeous (I’ve actually seen it in person) and I do love that it’s Los Angeles but I’m not loving the idea of a black frame and I’m not sure what else I would do. Below is the architectural panel from Restoration Hardware. I love both… just not sure which I prefer. What do you all think? Do you have a preference? The list of things left to do is getting shorter, so I’m pretty happy about that. Once I’ve picked the wall decor, I just need to get some small accessories, paint my bookcase, and (possibly) select a rug. Now if only the painting gets finished we’ll be in business! And click here to follow along with all the other guest participants! Hi, I would go with the map. It doesn’t have that trendy ‘I just ran out and bought everything new look’ and makes your room look more classic. Headed to Pier One to try out the chair. Great find! 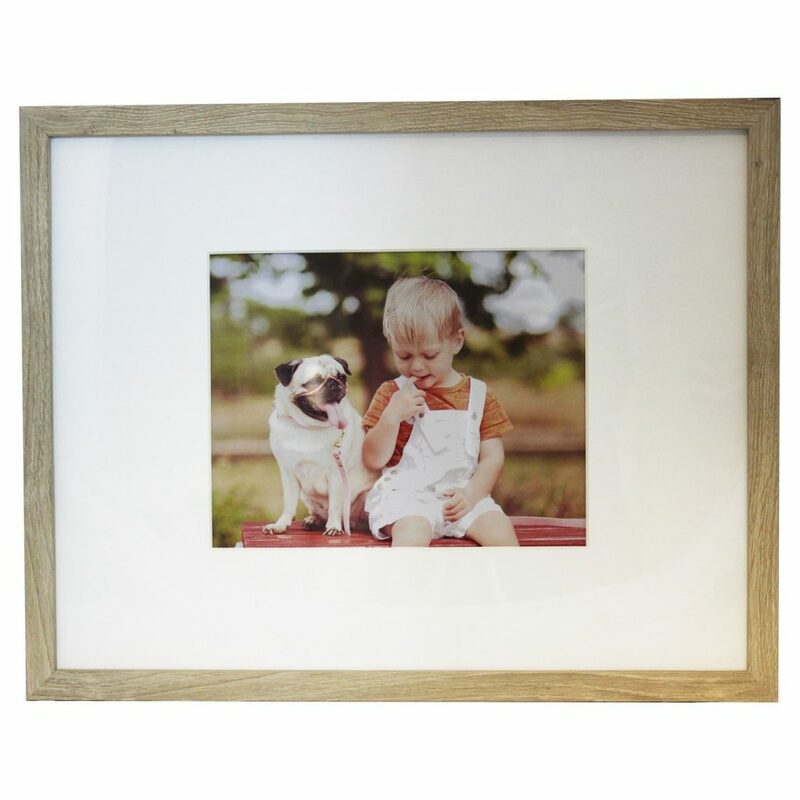 If you like tonal looks, and your husband gets his map, try painting the frame your trim or wall color. It might work. I’m so glad you like the chair Deb! And I may just add a globe – I’m loving that idea! Love the new chair! Sorry about all the painting issues but you still have plenty of time. I love your plans! Ok, first, I’m so glad I finally got a chance to catch up with your ORC room. Love this post so much! 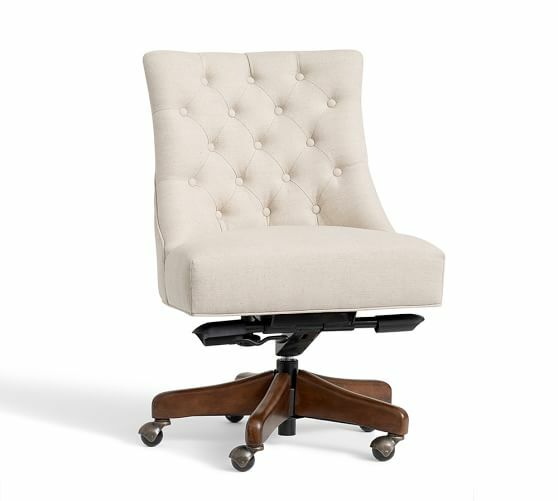 So 2 things – First, (besides loving the entire direction of the space), you just solved my desk chair problem! Love the one you chose. The only thing I’m not sure about for me is if the arms will limit the mobility (i.e. pushing the chair in under the desk). 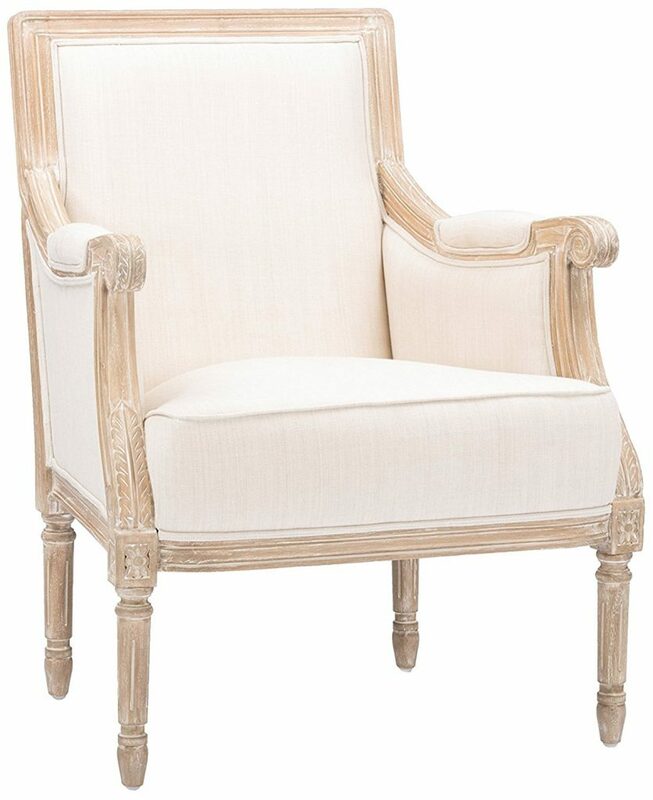 But hubby really wants a more comfortable chair and I really want it to be pretty, so the one you sourced looks perfect! (I will go back and read the earlier posts to see why you didn’t choose the swivel without arms). As for the wall hanging, I am so in love with the architectural panel! You have to get it because it is SO you! I know hubby gets to use the office too, but it’s SO nice! Awww thanks so much Lory! And I LOVE that I solved your desk chair problem, haha! It is so hard to find one that is comfortable, somewhat stylish, and not $600! So, you’re welcome!! Sheila, I love your desk chair choice. Hopefully , it will make up for the painters not showing up. Keeping my fingers crossed for you. Thank you – I think it will be perfect! And they’ve shown up today- yay!!! Hope they are quick and out of here! Thanks so much for stopping by and for following along! It is surely coming along! Can’t wait to the finished room! Thanks Holliday! I can’t wait either! Hope the painters show up soon! It is getting harder and harder these days to get contractors, let alone to be on time! Hmmm… I love that you love the architectural piece, too! I’m trying to decide within the next couple of days as I would have to frame the map and I need some time to do that. We shall see! And yes, the painters are right now the bane of my existence! I seriously just want them to come and finish and never come back!